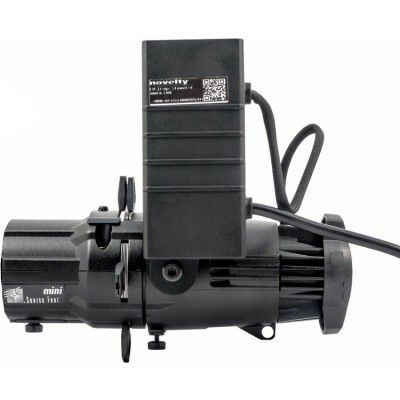 Source Four Mini is an almost exact representation Source Four, to the rotatable base housing, shutters, color frame and gobo holder, but with a 14 W LED bulbs. This fixture body is black. 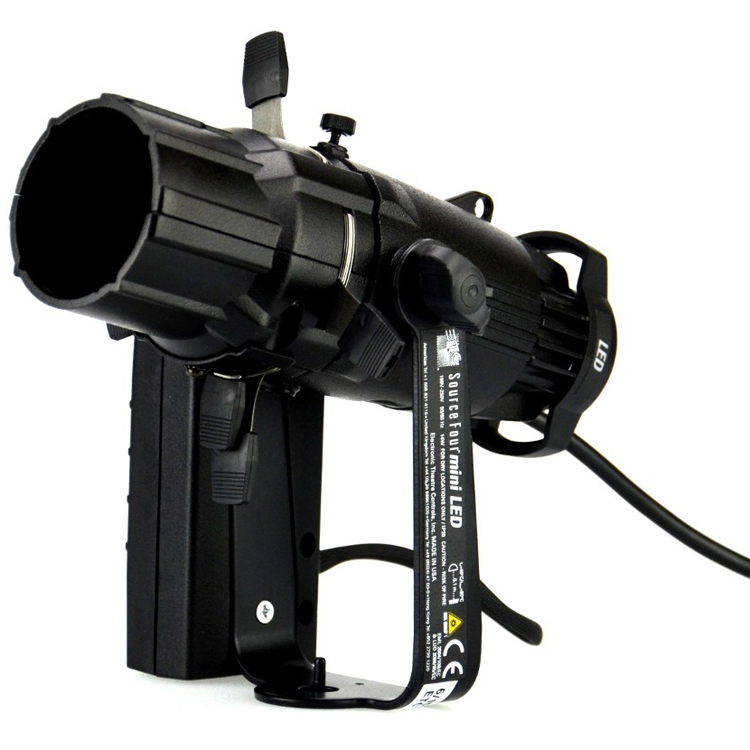 This is fixture body only, for the full function you will need a lens barrel, which can optionally be adapted to the circumstances. LED Cree LED (Available in 80+ and 90+ CRI). 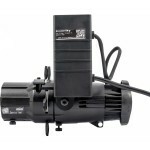 Long-life: 35,000 hours L70 lumen maintenance. Electrical Power at full intensity: 12W typical, 14W max. Optical 19°, 26°, 36° and 50° field angle Lens Tubes available. Beam edge continually adjustable hard to soft edge. Thermal 0°C to +40°C ambient operating environment.